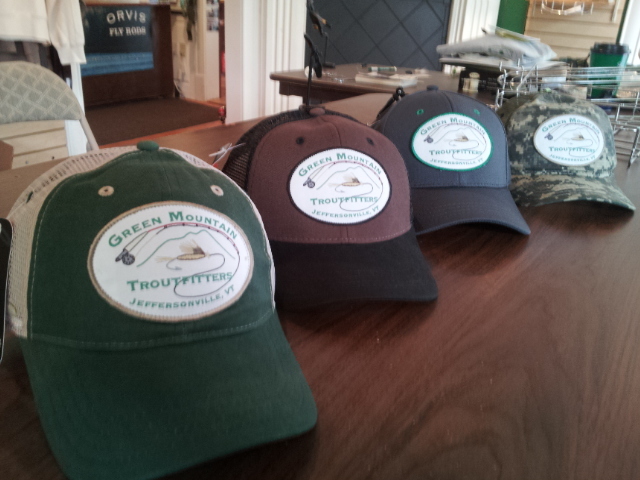 Green Mountain Troutfitters: BBQ Weekend is Here! It's an absolutely beautiful day here in Northern Vermont! Yesterday's rains were pretty scattered, so don't assume everything is blown out if it poured in your area. Most tributaries of the Lamoille are in great shape today, while the main stem has a good slug of dingy water currently working it's way through the system. If you're goal is to fish the Lamoille today, I'd focus upstream of Morrisville for the cleanest water. The entire main stem Lamoille has been stocked so there is no shortage of fish to keep things interesting. You can get an idea of stocking numbers HERE. We've seen Hendrickson spinners in the evenings, but no big spinner falls taking place unfortunately. It's really time to look past Hendricksons and start focusing on the next big hatch event which is Sulphurs and March Browns. That combined with a presence of little yellow stones (yellow sallies) means that your fly box should have an assortment Pheasant Tail nymphs in 12-14, Prince Nymphs in 12-16 and Hare's Ear Nymphs in 12-14. Also, Sulphur spinner falls are pretty reliable, so a rusty spinner in size 12-14 will have you covered should you find yourself in the right place at the right time. As always, buggers, buggers, buggers also! 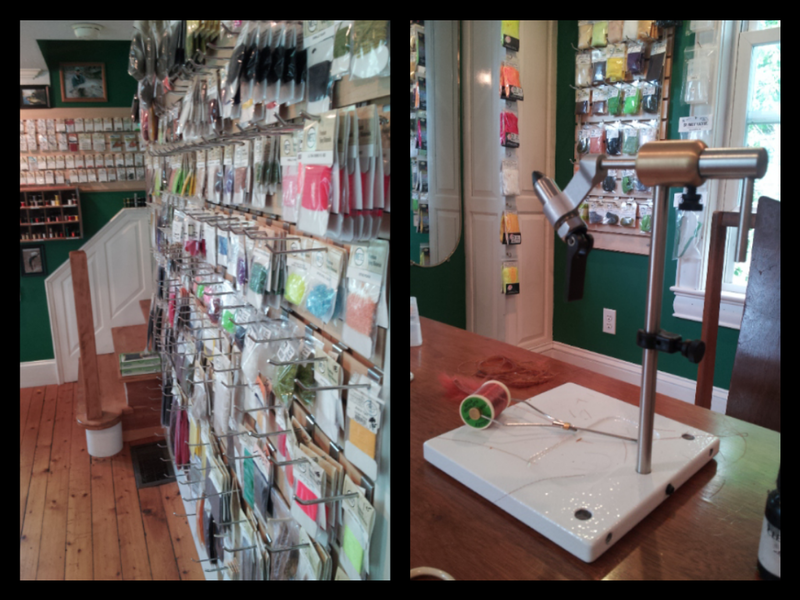 We have largely expanded our fly tying selection and we are now tying 95% of our flies right here at the shop! 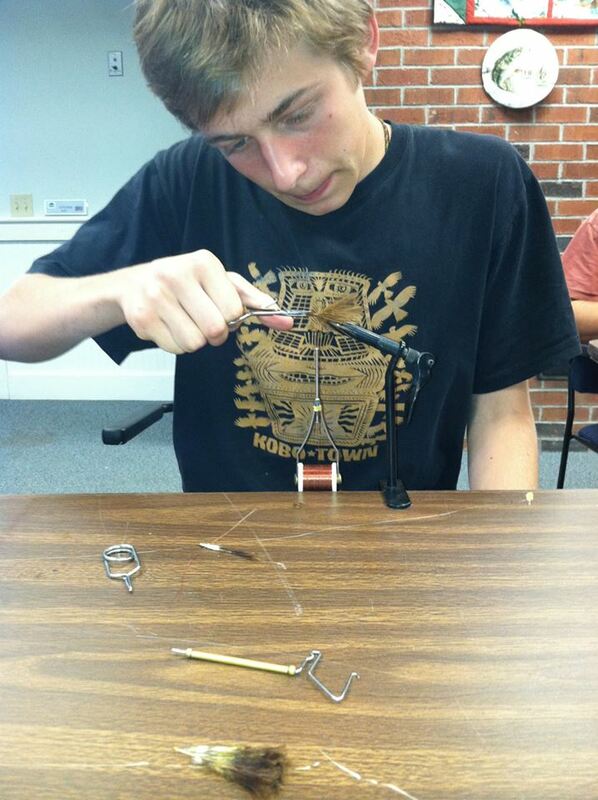 If you don't see a fly pattern or tying material on your next visit, just say the word and we'll hook it up! We just got a new Peak Vise yesterday, and it is killer!! We still have a selection of Vermont Fly Guys patterns in stock as well, so show your support for locally-tied flies! GMT hats are back in stock! 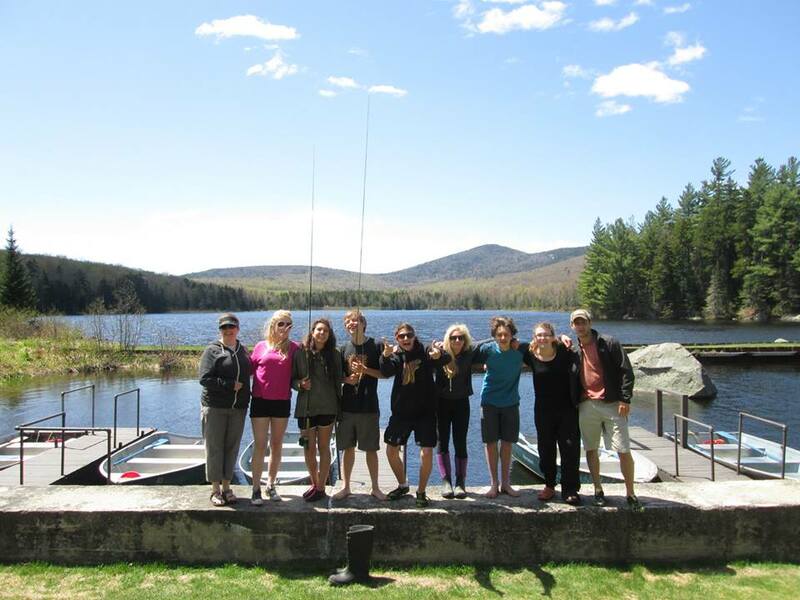 We made our first trip out to Seyon Lodge the other day for a fly fishing clinic with a great group of 10th graders from the Central Vermont High School Initiative. We were dealt windy conditions that were far less than ideal for fly fishing, but the kids were tough and we had a great time! We now only have 1 spot left in our 6/22 session of Green Mountain Fly Fishing Camp, so you better move fast before it's gone! Session 2 is full and we currently have about 5 spots left in session 3 on 7/22. Send us an email HERE to inquire. Still plenty of spots left for our day camps, but they are beginning to fill as well, so get on it!